Cincinnati State’s advertising efforts embraced this idea, that an education could be focused on training for one’s chosen profession. 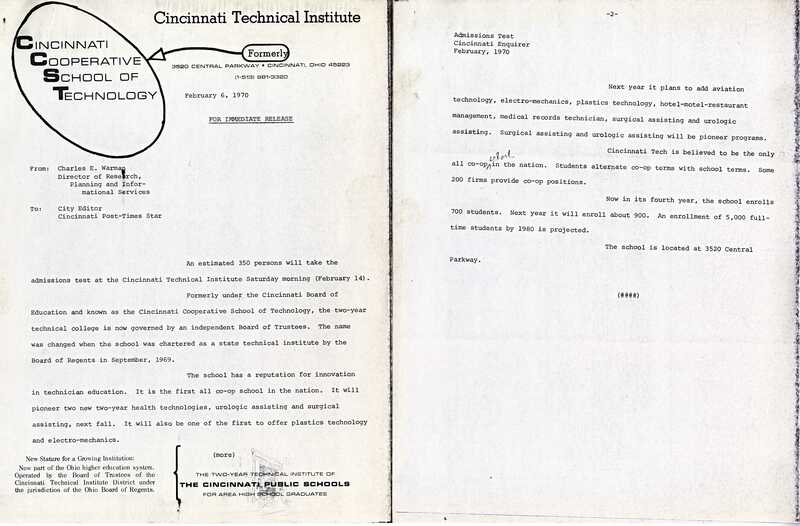 On January 1st, 1970, Cincinnati Technical Institute became an autonomous institution, no longer under the governance of the Cincinnati Board of Education. The document below illustrates the change from CCST to CTI, and promotes several new programs added to the curriculum. The audio tracks below are examples of radio advertising produced by the college in the 1970s. This series of ads, directed toward non-traditional students, promotes the availability of evening courses at CTC. 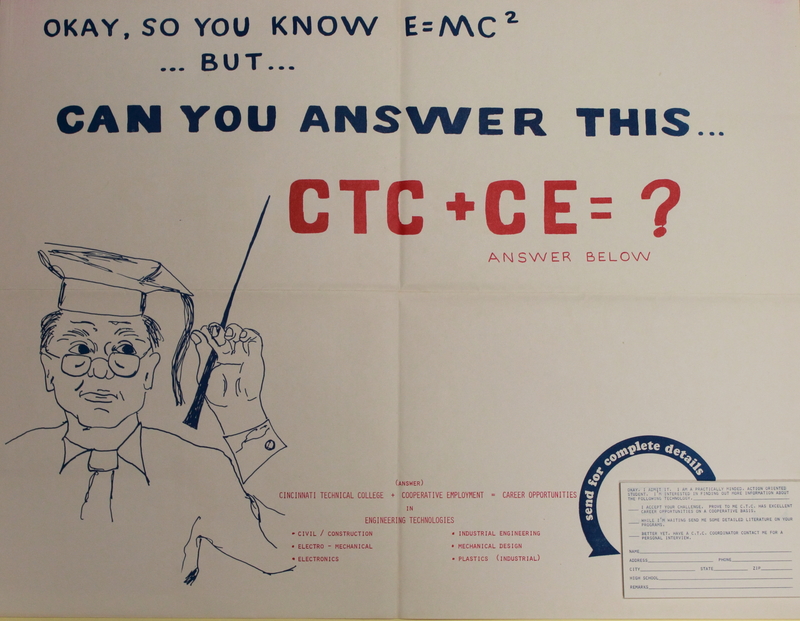 In 1972, after an Ohio Senate bill recognized the collegiate nature of CTI, the name was changed to Cincinnati Technical College. 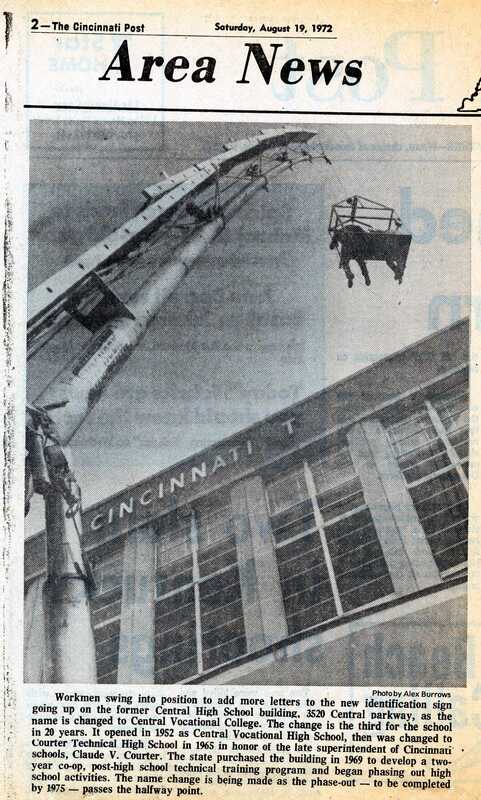 This newspaper article pictures workmen installing the new sign and erroneously refers to Cincinnati Technical College as “Central Vocational College”. In June of that year, Cincinnati Technical Institute purchased the Courter Technical High School property, where it had been operating alongside the high school since 1966, phasing out the high school completely in 1974. Between 1966 and 1976, the school grew considerably, adding over 30 programs and nearly 2,000 students. The technician shortage persisted in to the 70s. This brochure created for the Engineering Technologies Division (pictured in the gallery above) emphasizes the shortage of skilled technicians in the engineering field and promotes careers in sustainability. Images used in college advertising typically depicted students at work, either on the job, or in the lab. 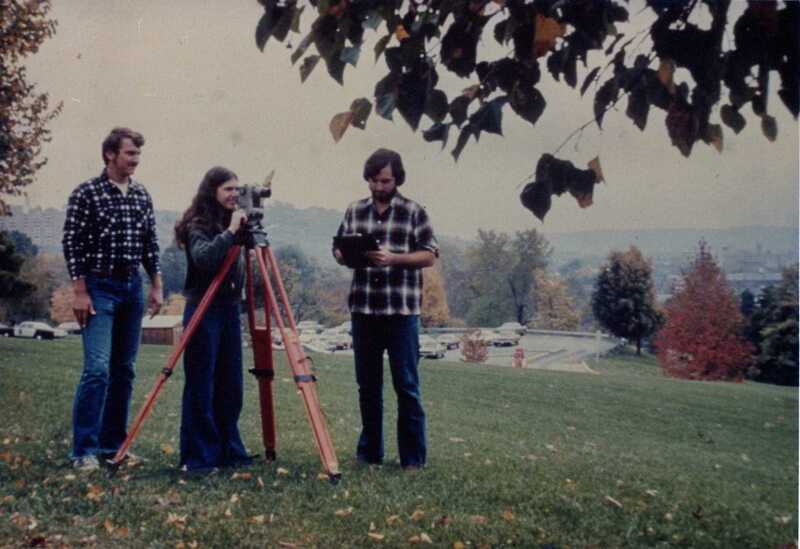 In this photo, three students in the surveying program practice using the equipment of the trade.